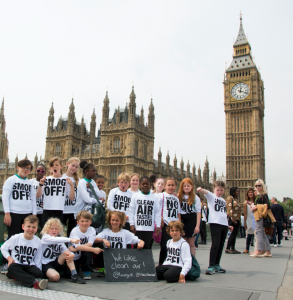 Christina Rees MP joined 30 primary children who were singing their anti-pollution song at Westminster yesterday, supporting the British Lung Foundation’s (BLF) demand for monitoring of air quality around schools (Tuesday, 07 June). The young singers who attend Gayhurst Community Primary School in Hackney, are members of the ‘I Like Clean Air’ campaign. It was formed by parents in September 2014, concerned about the impact of poor air quality on their children’s growing lungs. The BLF is working in partnership with the choir, highlighting to politicians that harmful pollution exists across many parts of the UK. 3,000 schools across the UK are located in areas with illegally high levels of air pollution, according to a report by DEFRA, published last year. Very few schools have air pollution monitors around them. Labour MP for Hackney South and Shoreditch, Meg Hillier, sponsored the children’s parliamentary performance. For more information, please contact the British Lung Foundation press office (open 7am-10pm seven days a week) on press@blf.org.uk / 020 7688 5580. The British Lung Foundation is the only UK charity fighting to help the 1 in 5 people in the UK affected by lung disease, by researching new treatments, campaigning for better awareness and services, and providing support and advice for patients, carers and family members. For further information, please visit www.blf.org.uk. For help and support, call the BLF Helpline on 03000 030 555.To donate £5 to help the BLF fight lung disease, please text LUNGS to 70500. ‘I Like Clean Air’ was established in September 2014 by solicitor and mother of three boys Shazia Ali-Webber. Shazia was concerned about the impact of poor air quality on her children’s lungs. She got together with other parents and children from Hackney to measure air pollution levels in their area. 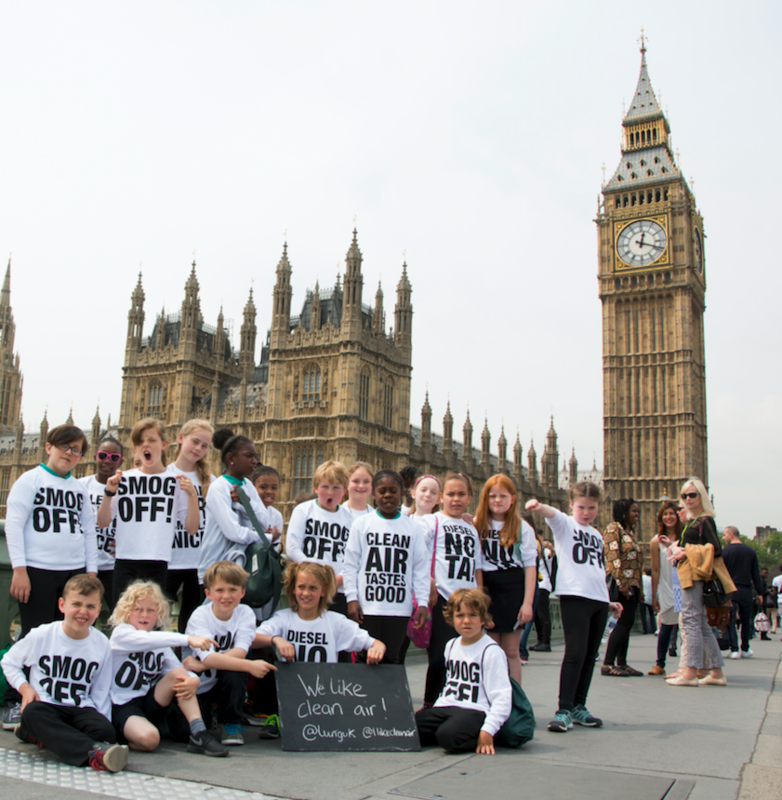 The group raises awareness of air pollution and its public health impact especially on primary school children.